← December in Rang a Sé! An Open Night for parents who have applied for a place in Junior Infants in September will be held in the school on Wednesday 18th January. It is an opportunity for parents to visit the school, meet the teachers and ask any questions they may have. 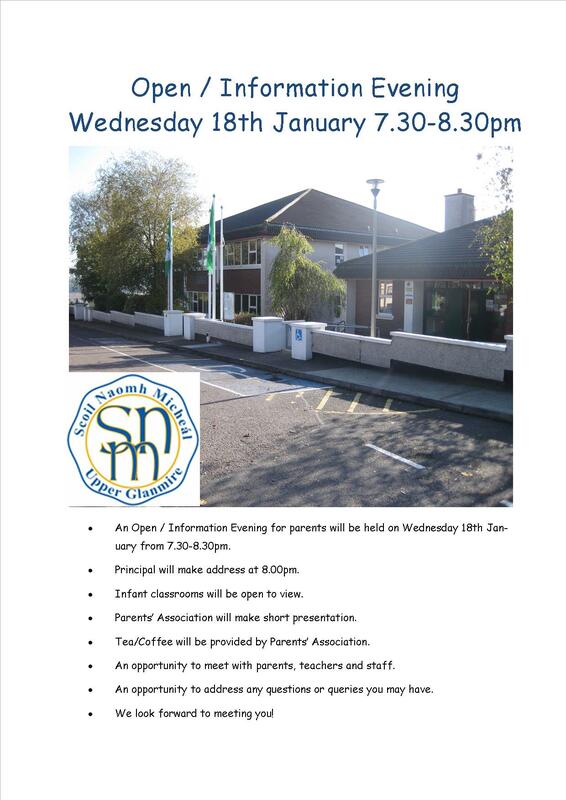 Mr. O’Connell will address parents at 8pm in the School Hall, followed by tea/coffee with the Parents’ Association.